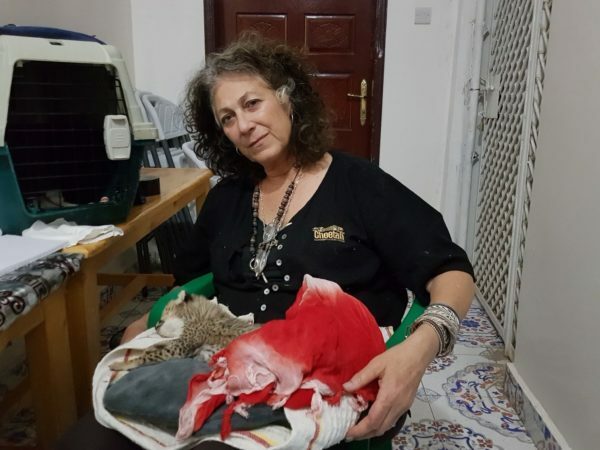 HARGEISA, Somaliland (7 Sept. 2018) – Dr Laurie Marker, Founder and Executive Director of Cheetah Conservation Fund (CCF), issued the following statement today from her hotel room in Hargeisa, where she is providing around-the-clock care for a severely malnourished and dehydrated cheetah cub. Along with its sibling, the cub was stolen from its mother in a remote region of the country and held by villagers in retaliation for livestock predation. In addition, Dr Marker is monitoring the health of six cheetah cubs intercepted from smugglers on 5 August near the port city of Berbera. The cubs range between three and seven months of age and are being housed in a temporary shelter. All are in poor health. Working in collaboration with Somaliland’s Ministry of Environment and Rural Development, Dr Marker travelled from Namibia to provide emergency veterinary care for the animals. “Cheetah poaching and cheetah trafficking in East Africa must be stopped, and it must end today. The wild cheetah populations in Ethiopia, Somalia and northern Kenya are already decimated, and the species is at risk for local extinction. Like most remaining populations in Africa, cheetahs in East Africa already face multiple threats, including human-wildlife conflict, loss of habitat and loss of prey base, fragmentation, and lack of genetic diversity. Taking individuals from the wild, whether in retaliation for predation or to eliminate a perceived threat, or to traffic in the illegal pet trade in the Middle East, will only lead to the species demise. Taking baby animals from their mothers when they are only weeks old is also just unbelievably cruel. It is heart-breaking to hold a tiny, helpless animal as it struggles for its last breath. I know, because this happened to me this week when one of the cubs died despite my repeated attempts to resuscitate it. I even called in a human doctor with oxygen, but our efforts were in vain. Cubs this young are extremely delicate, and we do not know how long they were deprived of food and water. Despite the odds being stacked against it, we will continue to fight for the second cub’s life. 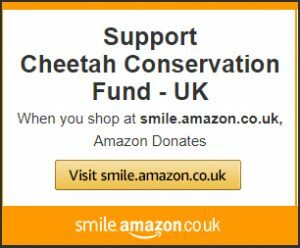 And we will continue to help our partners in Somaliland address the scourge of cheetah poaching and cheetah trafficking until eliminated”. CCF has been working to counter poaching and trafficking since 2005. In 2011, CCF began building a network in Somaliland and establishing working relationships with local government authorities. Since then, CCF has assisted with the confiscation, care and placement of 49 cheetahs. On 28 August, a landmark victory was achieved in Somaliland courts when two subjects charged with wildlife trafficking were sentenced to three years in prison and a fine of U.S.$300 – the first conviction for illegal cheetah trade in Somaliland. Somaliland has been a self-declared autonomous region of Somalia since 1991. It has also become the main transit route for cheetahs trafficked out of East Africa. However, as it is not recognised as an independent nation, it is not a Party to the Convention on International Trade of Endangered Species (CITES), which impedes any official acknowledgement of the wildlife trade occurring there. Since 2005, CCF’s Assistant Director for Strategic Communication and Illegal Wildlife Trade Patricia Tricorache has been compiling the world’s most comprehensive database on illegal cheetah trade and works to bring the issue to the attention of governments and international organisations such as CITES. Across their African range, fewer than 7,500 cheetahs remain in the wild, down from 100,000 a century ago. This swift decline puts cheetahs at great risk for extinction. As 80% of wild cheetahs live outside protected areas, this puts them in closer contact with humans, which exacerbates conflict and makes them easier targets for poaching. CCF research indicates an estimated 300 cheetahs are poached and smuggled into the Arabian Peninsula each year to be sold in the illegal pet trade, most coming in through Yemen from the Horn of Africa. Many more die before being shipped. For a species with low populations numbers to begin with, losses to trafficking threaten the cheetah’s very existence. In areas of the Horn of Africa that are most affected by the trade in live cheetahs, the adult wild cheetah population is estimated at only 300 individuals, mainly in Ethiopia and northern Kenya (data on cheetah populations in Somalia and Somaliland is not available). Cubs are poached while their mother is out hunting. Once removed from their mothers at such young ages, poached cubs cannot be returned to the wild, because they did not learn the skills from their mother necessary to survive. Trafficked cubs usually do not survive longer than three months due to disease and improper nutrition. If they do, most die within two years for the same reason. Why would people want to poach cheetah cubs? Wild animals are in high demand as status pets in the Gulf States. it is estimated that close to 1,000 cheetahs might have been kept in houses and compounds in Saudi Arabia, Kuwait, the UAE and Qatar at different times, each costing thousands of dollars, and few surviving to adulthood. Evidence suggests that most of these cheetahs have been illegally sourced from nations in the Horn of Africa. 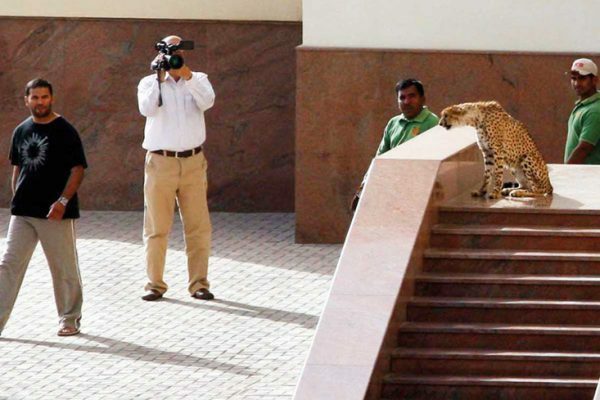 While CCF does not condone keeping cheetahs as pets, it has visited the UAE several times to raise awareness and organize workshops for veterinarians and trainings for accredited zoo staff in proper cheetah care. In December 2016, the UAE enacted a law outlawing the private ownership of exotic and dangerous pets. 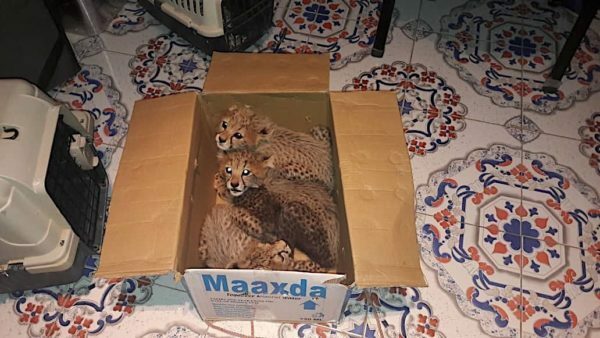 CCF and its local associates had transferred cheetahs confiscated in Somaliland to rescue facilities in neighbouring Ethiopia and Djibouti. In 2016, the government of Somaliland determined that confiscated cheetahs must remain in country. To provide shelter and care for confiscated cheetahs in Somaliland, CCF began marshalling local and international resources. Although all cheetahs are currently in a safe house for lack of a permanent facility, all efforts are being made to provide them with the very best care. In April 2017, CCF partnered with the International Fund for Animal Welfare (IFAW), which provided funds to support confiscated cheetahs for one year. 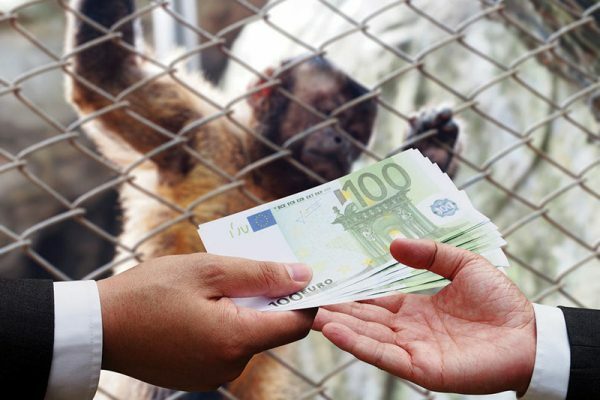 Grants from Busch Gardens Conservation Fund and donations of medicine from the Columbus Zoo, along with the support of CCF’s German partner Aktionsgemeinschaft Artenschutz (AGA) and CCF’s UK affiliate, have also contributed. However, longer-term solutions must be sought.